Clio is a claus. Yes, kind of like Santa, but she doesn’t have a beer gut or wear a red suit. In fact, she’d rather not have anything to do with Christmas or the magic that comes with it. Hiding out in the sleepy town of Bramblewood, she’s been doing just fine at pretending to be human and avoiding all things Christmas. But then, a mysterious reindeer shifter with piercing amber eyes comes stampeding into her life, and her whole world is turned upside down. Dash is investigating a group of murderous dark elves, and Clio appears to be their next target. He wants to protect her. She wants him to take his rather large antlers and fly on back to the North Pole. But when magical creatures are being killed, and no one knows why, she has no choice but to trust him. This claus is about to be thrown into a world of magic and mayhem—whether she likes it or not. All hell is breaking loose in the North Pole. Dark beings are showing up unannounced, and a mysterious power has been unleashed on the magical realms. Lucky for Clio, she’s back hiding in Bramblewood, pouring pints and avoiding her problems. That doesn’t last long though, and when Dash shows up at the bar once again, she realizes there’s no escaping her connection to the magical world. He needs her help cleaning up the mess they caused when the Christmas star exploded. 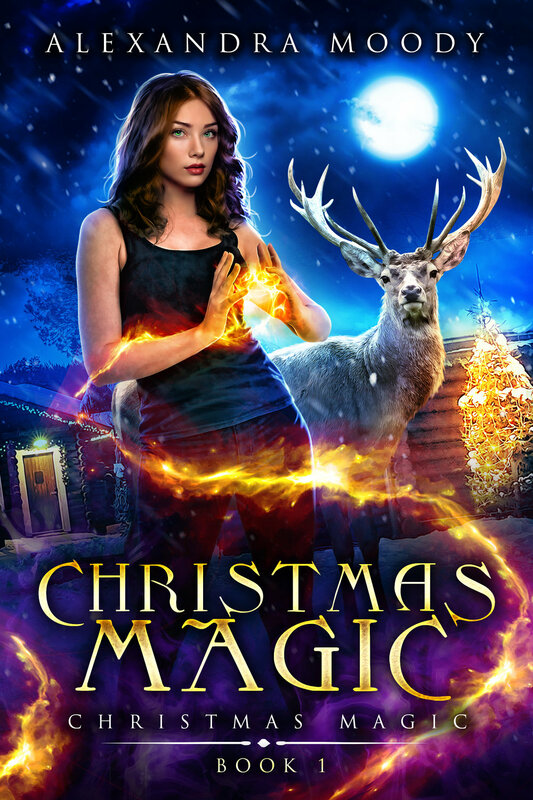 But to restore peace and order, they will need to journey deeper into the world of Christmas magic than Clio ever imagined possible. She’s been avoiding the North Pole her whole life, but now she might be the only one who can save it. Clio screwed up—and it wasn’t just someone’s drink order. She accidentally set an evil yule god free, and now he plans to bring war to the magical world. The only thing standing in his way is the final Christmas star, and if Clio wants any chance at defeating him, she’ll need to find it first. Only problem is: the star has been lost for centuries. It’s a race against time and the odds are stacked against her. But Clio is willing to do anything to succeed—even if that anything means finally embracing her strange and unique powers. She might just be the one Christmas being with a chance at stopping Belsnickel. But can she take on a god and live to tell the tale? Find out in the epic finale of the Christmas Magic series.